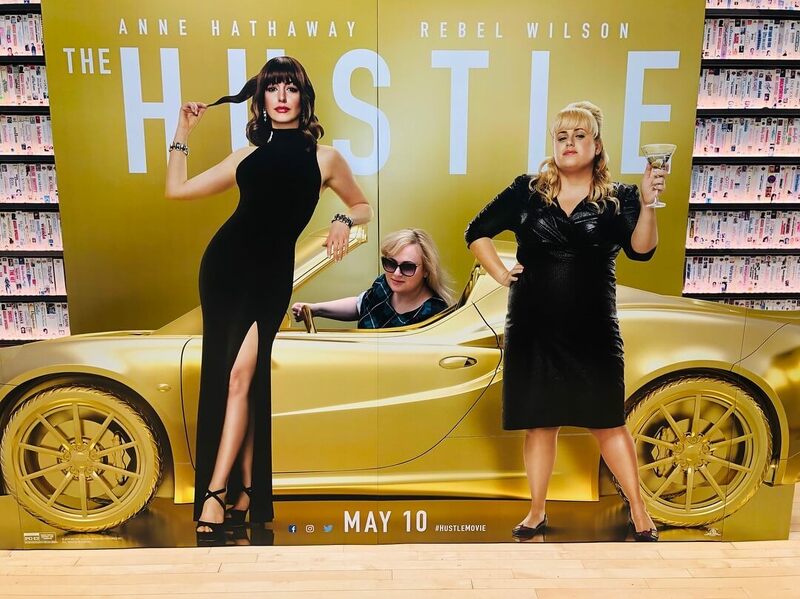 To enter, take a photo of yourself with The Hustle movie car display in theater or with the movie webpage thehustle.movie/sweeps, then post/tweet it on your Instagram or Twitter account with the tags: @HustleMovie, #HustleMovie, and #Sweepstakes. NO PURCH. NECESSARY TO ENTER/WIN. A PURCH. WILL NOT INCREASE YOUR CHANCES OF WINNING. Begins 6:00:00am PT on 4/2/19; ends 11:59:59pm PT on 4/24/19. Open only to legal residents of the 50 US&DC, who are 18+ & age of majority. Subj. to Official Rules at thehustle.movie/sweeps. Void where prohib. by law. Winner must travel May 6, 2019 to May 9, 2019. Prize ARV: $4,000. Odds of winning depend on # of eligible entries recv’d. Sponsor: Mirror Releasing, LLC d/b/a United Artists Releasing, 750 N San Vicente Blvd. Red Tower East Floor 12, West Hollywood, CA 90069.